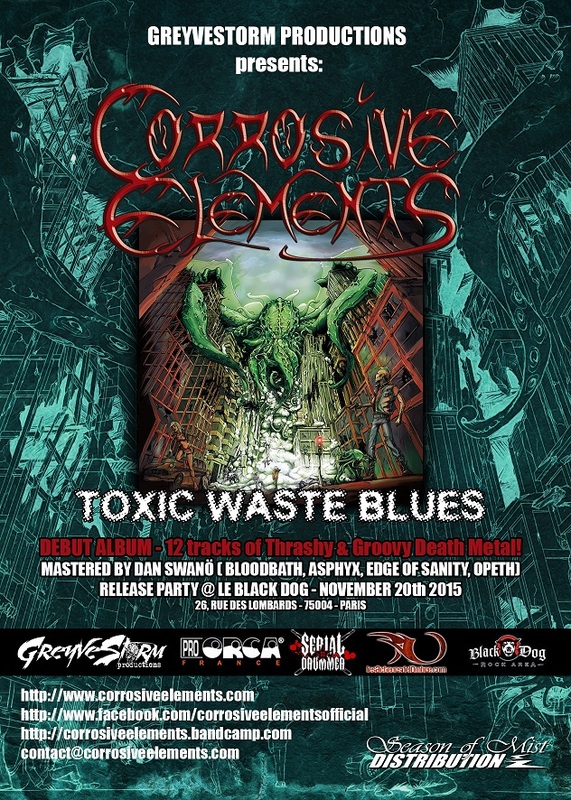 Corrosive Elements is gearing up to release their second studio album, Toxic Waste Blues. Judging from the lovely cover, there is some Lovecraftian content waiting to greet the listener! In fact, track three is titled “Destructive Cult,” and tracks five, six, and seven are titled “The Awakening,” “He Dwells in the Abyss,” and “Misanthropy,” respectively. I like a fair amount of metal, sign me up. Energetic, thumping, driving. 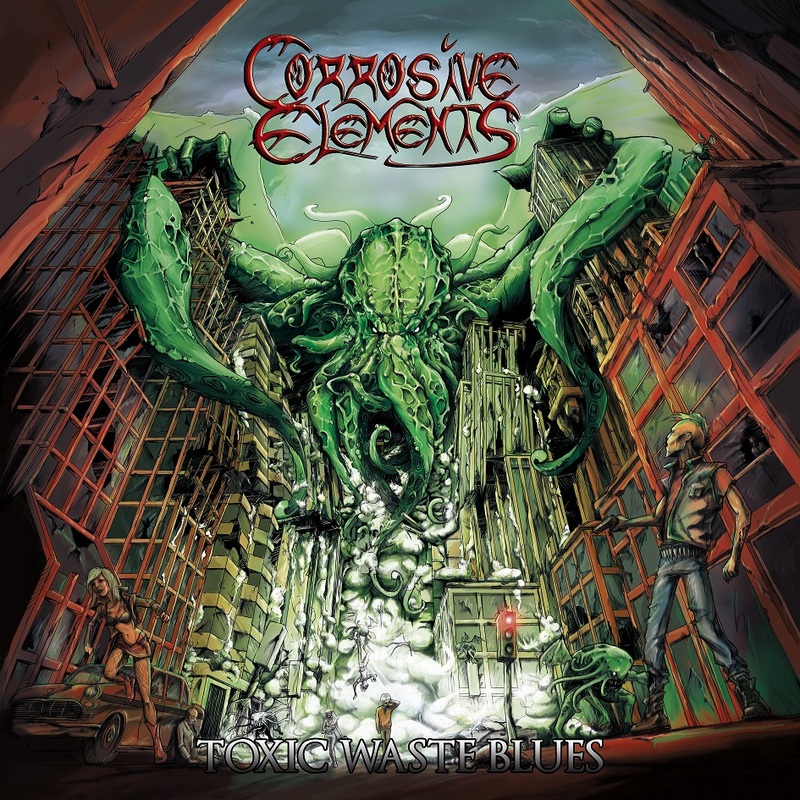 This will make a great workout album and tomorrow’s gym session will be propelled by – you guessed it – the sounds of Corrosive Elements. I’ve been told that Toxic Waste Blues was mastered by the metal producer that brought us Edge of Sanity, Opeth, Katatonia, Hail of Bullets … Dan Swanö. While continuing to stand true to their self-proclaimed motto, “Death Thrash-N-Roll the Old School Way,” I look forward to seeing what the future brings for these spirited individuals. This album will be released on November 20th, 2015.